Complex Development Projects, the company behind Electric Wharf, Fargo Village and the regeneration of Far Gosford Street, plans to create the new office park along the River Sherbourne. 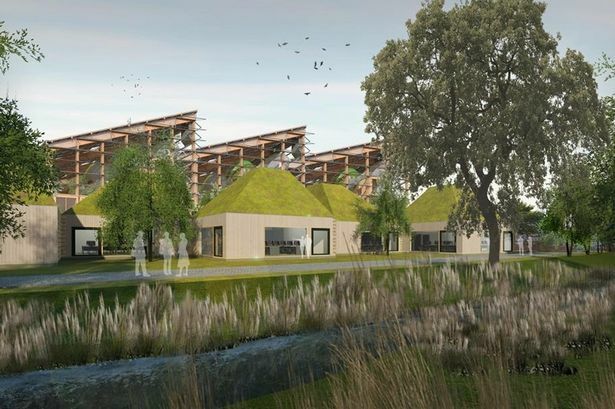 The development of 100,000 sq ft of environmentally-friendly office buildings will be aimed at companies involved in innovation, information technology and the creative industries and could help attract over 400 jobs. The project is part of the overall vision by Historic Coventry Trust to create a 70 acre heritage park centred on the restoration of the 14th Century Grade 1 Charterhouse and which will highlight buildings of national importance including Joseph Paxton’s Arboretum Cemetery and the listed viaduct designed by Robert Stephenson. The development will provide a naturalised riverside walk from the city centre to the heritage park. Plans for the business park development, which would stretch along the river from Far Gosford Street to Charterhouse, are at an early stage but are being showcased today at the MIPIM property conference and exhibition in France. Ian Harrabin, of CDP, is also hopeful that the scheme will attract Government support. He said: “There is currently a chronic under supply of quality office space for small businesses to buy close to the city centre and the university and that is not good for growth or the development of the area. “It is vital to provide a pipeline of suitable buildings to allow many of the privately-owned companies in those sectors to buy their own properties. Mr Harrabin also believes the overall development could provide a sizeable boost to tourism and a major element in the city’s bid for City of Culture in 2021. “The plans for the restoration of the Charterhouse by Historic Coventry Trust are progressing well but there is just so much more potential if it all links to the city centre and university,” he said. The Coventry and Warwickshire MIPIM Partnership will see a group of companies and organisations fund its presence, run a stand and host a number of events. Warwickshire joined with Coventry – which has attended for 23 years – for the first time last year and is a joint partner at this year’s event. The partners are Friargate, Jaguar Land Rover, The Coventry and Warwickshire Local Enterprise Partnership, Barberry, Study Inn, CEG, The Coventry and Warwickshire Development Partnership, HOIRBA-MIRA, Coventry University, University of Warwick, City Fibre, Wasps, Deeley, Downing, Complex Development Projects.